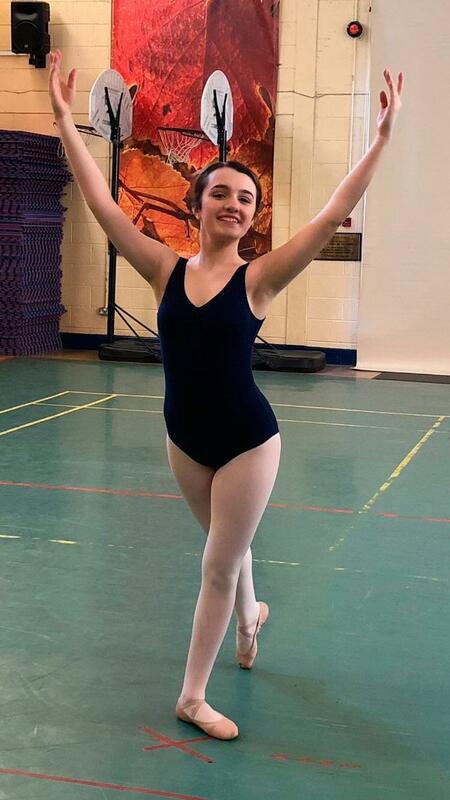 With students nationwide in the throes of the Leaving Cert, ballet dancer Aoife Kearns likens the state exams to a major theatrical production. As one of the stars of the Irish Ballet School, she understands the importance of good preparation, teamwork, communication and knuckling down to hard graft before a performance. "When the time comes, and you're waiting in the wings after months of rehearsals, nervously hopping from foot to foot, the adrenalin starts to build," she says. "And the moment the lights in the auditorium go down, you're on stage and hear a hush from the audience as the music begins, it can be quite nerve-racking. But once you get over that, there's a sense of right, this is it, this is what we've worked for and it's going to be amazing. "The same is true for the Leaving. Going into the exam hall can be a bit daunting at first, but it's okay because we've put the work in. We've done all we can. Now we can only do our best." Before the Leaving this year, Aoife did after-school study until 6.30pm, except for two days a week, when she did ballet. "I made up for it by putting in extra study hours on Sundays, which is generally considered a rest day, but ballet was my rest period," she says. "It's a perfect escape from study and stress. After the first maths paper, I danced for an hour just to relax." For Aoife, the skills acquired through dancing and performing combined with the demands of working with a troupe have given her a wealth of knowledge that she applies to other areas of her life. She was an active member of the student council in Loreto College Swords. "We were the voice of the student body in communicating with teachers, staff and management," she says. "As council secretary, I had to make a number of presentations to the Board of Management and that's a skill I'll take with me in my future career." Aoife hopes to do a degree in multimedia studies at DCU, but she's not ready to hang up her pumps any time soon. "I love ballet," says Aoife. "It's a big part of my life and I'm glad of the skills I've learned, not just in terms of the physical benefits of dancing and performing, but the confidence it's given me to do other things in my life." At 18, Ciara Neville is sprinting her way to sporting glory as one of the brightest young stars of Irish athletics. Named by the Olympic Council of Ireland as "one to watch", the Limerick Emerald AC athlete has cleverly managed to juggle sport and study before and during the exams. Like other top-level student athletes, Ciara's already had a lot of experience in managing the demands of sport, school and personal life. Having won the European Youth Olympic 100m title in Tbilisi, Georgia, in 2015, she went on to shine in other high-level competitions at home and abroad. At the All-Ireland Schools final last summer she ran 100m in 11.52 seconds, the joint seventh fastest time ever by an Irish woman, and this year she was selected to don the green singlet at the World Indoor Championships in Birmingham. The following month she became a brand ambassador for Avonmore Protein Milk's 'You've Got This' campaign, which aims to inspire other young people by showcasing what it takes to make it in high-performance sport. Now in the middle of the Leaving Cert, she's taking the exams in her stride. "It's going grand," she says. "I made sure to stick to a routine going through the mocks and in the run-up to the Leaving itself. "I've had great support from my parents, teachers and my coach, Noelle Morrissey. They helped me plan a routine that worked well for me. I did after-school study till 6pm, came home for dinner, my parents would drive me to training, then I'd come home, go to bed and do it all again the next day. I'd urge any athlete who's doing exams not to give up training, but work around it. All right, maybe you can't do quite as much during the exams, but if you manage your time well, you can concentrate on your study and keep up the training. It's really about time management and staying focused." Ciara's final exam is on Tuesday, June 19, but unlike other students up and down the country, there will be no post-Leaving Cert partying for her. "As soon as it's over I'll be back out on the track ahead of the Junior Internationals at Mannheim in Germany," she says. "We fly out the Friday after my last exam and race on Saturday and Sunday." Not surprisingly, the Castletroy College student wants to study PE Teaching or Sports Science, preferably at NUL. She also has big sporting dreams, inspired by Irish sprint hurdles athlete Derval O'Rourke and American track and field sprinter Allyson Felix, who has won multiple Olympic gold medals. "I want to compete at the highest levels, in major European and world championships," says Ciara. "Whether I make it to the Olympics in 2020, or the 2024 Games, by which time I'll be 24 - that's definitely the aim." At 17, Dillon Potter Stapleton already has a string of acting roles to his name. He starred in the TV series Red Rock, several adverts, films including Heartbreak, An Créatur, and A Date for Mad Mary, and a number of stage plays and musical dramas. And this year, while he sits the Leaving Cert, he continues his weekly rehearsals with the Maureen V Ward talent agency. "It's a great de-stressor," he says. "So much work goes into studying for the Leaving, you've got to have a breather." A student of Old Bawn Community School in Tallaght, he's doing all honours subjects and seriously hit the books in the run-up to the exams, doing after-school study and a further two or three hours at home each evening. But every Friday he switched off with two hours of acting and singing lessons. "It's good to have a bit of stress because it gets you into work mode, but I'm not over-stressing about the exams," says Dillon. "I was acting in Red Rock the year of my Junior Cert. It meant missing a few days of school, but I'd catch up at home, and my school principal was incredibly supportive." Dillon has been acting since he was four, and says he's related to the late Maureen Potter on his dad's side. "I'd love to go into professional acting in TV and films, but my mum says I should have a back-up as a precaution, so I'm planning to study accountancy. I need 400 points for the course and I'm confident I can achieve that. It's not my dream though. My dream would be to support myself and my family through acting. "I'd love to follow in Saoirse Ronan's footsteps. She's one of a number of Irish actors who are taking their place on the world stage and I'm lucky to be born into that generation. With acting it's often about being in the right place at the right time, so you never know."